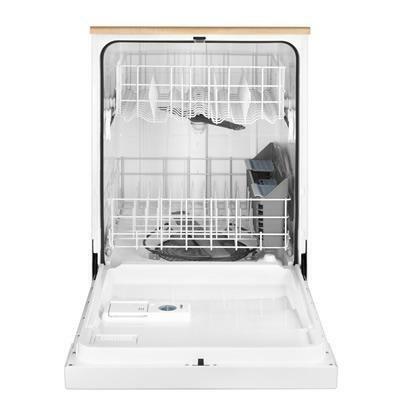 Maytag® Jetclean® Plus Portable Dishwasher. 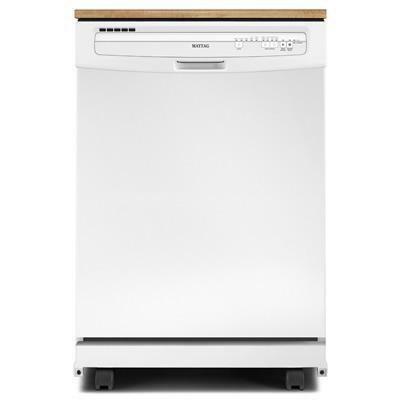 Get the strength of flexibility in your kitchen with this ENERGY STAR® qualified portable dishwasher. There's a durable 4-blade stainless steel chopper that pulverizes food to prevent food particles on dishes. The Jetclean® Plus wash system uses high-pressure jets to remove tough food particles. 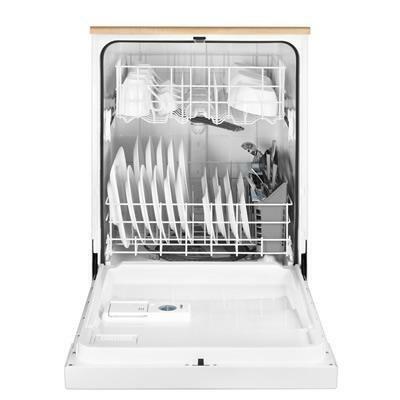 Plus, the High Temperature Wash option brings the heat to deliver even greater cleaning performance. Move it into the kitchen when you need it, and put it out of the way when you don't. Wash Cycles Heavy. Normal. 1-Hour Delay. Light. Rinse Only.